We investigated and described a novel approach for water desalination using charged hydrogels under externally applied mechanical forces. The desalination mechanism is based on the unequal distribution of an added salt between gel and surrounding solution phase. 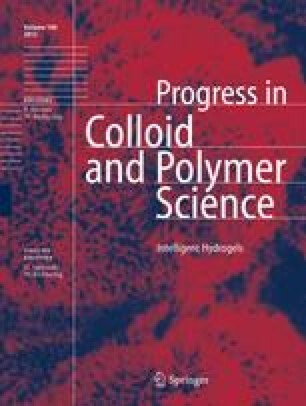 We synthesised acrylic acid-based hydrogels of various compositions and investigated their desalination properties with a specifically designed experimental press setup that allowed us to control online the force respective pressure exerted on the gel and to measure the water elution from the gel bed as well as the salt concentration of the eluate. A reference sodium chloride solution was used as a model for desalination applications. The experiments were augmented with a theoretical analysis within a mean-field Donnan model that can semi-quantitatively explain the salt distribution and the desalination process. In addition we performed coarse-grained simulations with explicit ions and charged bead-spring polymers. The simulations provided reference data on well defined systems which could be directly compared with the theoretical predictions. This comparison provided valuable insights into the weak points of the mean-field theory and guidelines for its further development. The authors gratefully acknowledge the financial support of the DFG priority program 1259 “Smart Hydrogels”. J.H. acknowledges additional financial support from the Heinrich Böll Stiftung and would like to thank the workshop team as well as Ms. Schlag, Mr. Merger, and Dr. Kübel for help on the project and this article. M.W. thanks his children for this idea while diapering them. P.K. acknowledges support from grant “LK21302 Návrat” from the Czech Ministry of Education.